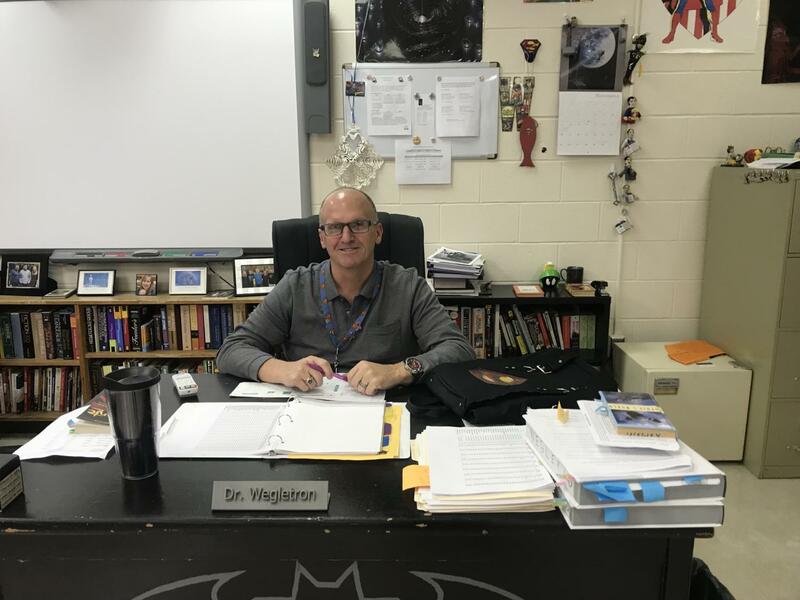 This week’s teacher feature is Dr. Wegley. He teaches scholarship English 10, creative writing, and AP Lit. Before Beavercreek he taught in Troy for three years, but has been at Beavercreek for the last 20 years. Today I had the opportunity to talk with Dr. Wegley about his new degree. He has received his undergraduate degree from the Naval Academy, his masters degree from UD, and his doctorate degree from Liberty. He said the reason he decided to get his masters is that he loves to learn and someday wants to teach teachers. His favorite thing about teaching is that he loves to see when students think outside the box. “It sounds really cliche, but I love it when the lightbulb goes off,” he stated when I asked him about it.